Hipsters are described as valuing vintage styles, disconnecting themselves from mainstream trends and commonly being involved in the creative industries. If website designs could be described as being hipster, this showcase features some perfect examples! Here’s a stunning roundup which includes a hand-picked showcase of trendy hipster style website designs. They all boast a retro or vintage theme; many of them pioneer unusual web design ideas and techniques; and they’re almost all representing the creative industries that accommodate this cool culture of. These designs have a stunning a retro or vintage theme. Many of them include unique web design ideas and techniques, and they’re almost all representing the creative industries that accommodate this cool culture. This sophisticated website has a creative design with a sophisticated vintage appearance. The white solid graphics make this design unique and the decorative typeface is perfectly chosen for this kind of website. Scroll down and see the unique feature of this wonderful hipster website. This design was created for a furniture enthusiastic and it emphasizes a professional design with fully-functional features. The full-screen layout, the high-quality image background, and the big tile are all meant to get users attention. Discover the full design and see what new things you can learn. This website features a well-organized grid layout which beautifully showcases each item. Moreover, each element has a lovely animation with a beautiful overlay color and further details. This website has a 100% responsive design and it will display perfectly on any device, regardless the screen size. 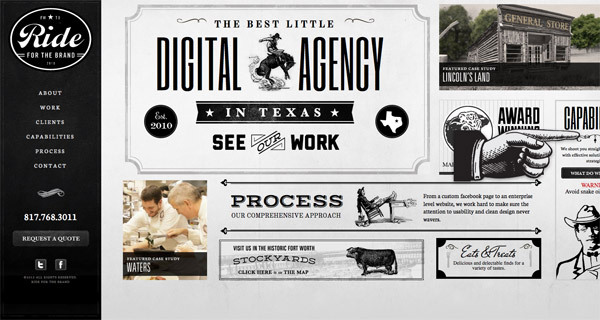 This hipster-looking website has a vintage design that will get your attention. Big titles with colored designs, a neat background color, and a creative typography are some of the features of this amazing website. This one-page website has a dark theme and was built using Adobe Muse. The site has a hipster design, starting from the logo style, header image, and even the slider illustrations. This gorgeous hipster-style website features a high-quality video background which will definitely get your attention. The big headings and lovely colors improve the overall design. Here’s a stunning one-page website design which has a well-organized and professional design. The side menu is always within reach and can be used to quickly navigate between each section. This is a creative website design which uses a neat background texture and bright neon colors to get your attention. This portfolio website has a professional design with video backgrounds, animations, beautiful illustrations and more. Besides its unique design, this website features a 100% responsive layout which will fit perfectly any screen size. 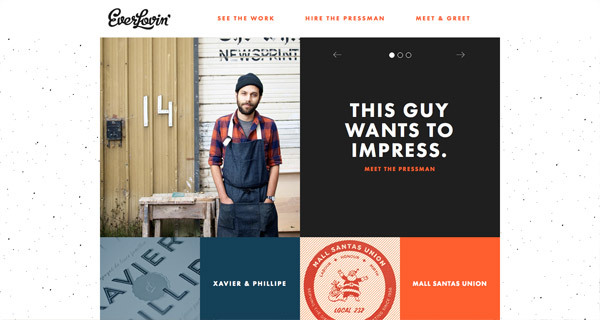 This is a stunning hipster-style website which has an user-friendly design. This includes a fixed header style, a fully responsive layout, an organized design, big headings, concise information, and more. Discover the full design of this wonderful website and see what new things you can learn and then apply in your own designs. Here it is! This beautiful full-screen layout features a high-quality image background which is meant to get your attention. Moreover, the well-organized content with a grid-layout makes the info more accessible and reachable. The parallax effect makes this lovely website more appealing and modern. This hipster website includes many neat features which will keep you engaged and be wanting for more. This is an exceptional website design which has an outstanding vintage design with a hipster-inspired layout. 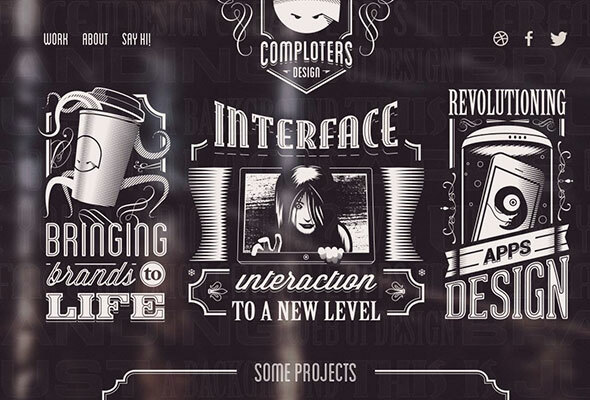 The black&white layout and creative illustrations make browsing a pleasure. Wild Book is a stylish and vintage website template with an elegant and creative design. You can use this for portfolios or similar websites, to showcase your works to potential clients. Hugo is a wonderful WordPress template which includes a stunning customizable design and fully-functional features. I’ve long been looking for templates with this style of design, you’ve made a great selection. Very inspiring. Thank you!! WOW!!! A theme with vintage & retro effect will do awesome… I will definitely try hipster for next website… Thanks for introducing us with hipster. Thank you so much. i had need this…. I love the collection of “hipster” websites you provided as examples! They really are perfect! I tend to lean toward vintage web design for my personal preference, but rarely get to design one for clients! Thanks for sharing! As always, a great read! Hi! Superb design. Thanks for this post. Nice selection, my favorite is Morgan Street Cafe’s website design. 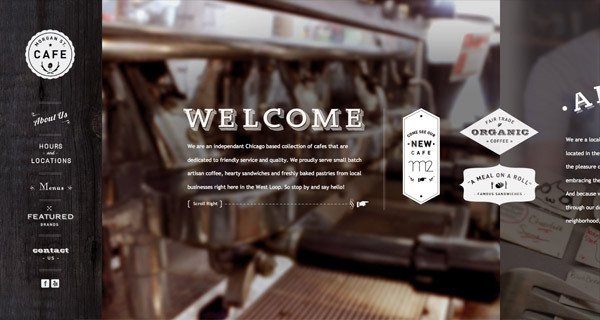 http://morganstreetcafe.com might be a folksy / hipster design, but the horizontal scrolling makes me shudder. As always you’r posting aggressive sites here, i am highly recommended here keep it continue.